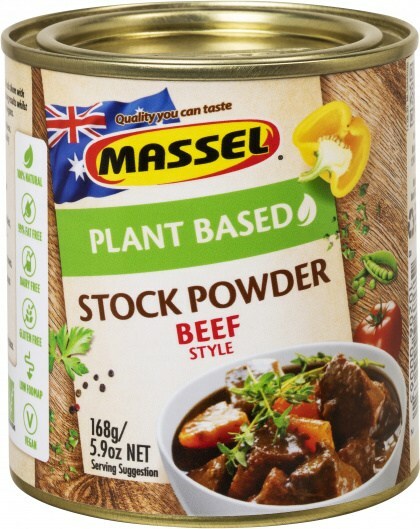 Massel Stock Powder Beef flavour is perfect for adding a delicious perk to soups, risottos, and your favourite recipes. Once you add one teaspoon in a cup of boiling water, you can enjoy a great alternative to tea or coffee. Ingredients: Marine salt, rice flour,sugar,yeast extract, vegetable protein extract(soy derived)potato flakes, natural vegetable flavours,dehydrated vegetables(onion,celery,garlic)pure olive oil, caramel colour.